Our friends at Crystal Lake Publishing are having their biggest SALE ever, and it will last till end of December. Be sure to pick your Christmas books now. Paperbacks will range between $6.99 and $11.99, and eBooks between 99c and $2.99. And if you share your purchase on Facebook (remember to tag Crystal Lake Publishing or Joe Mynhardt) and you get to ask the author of one of our Single Author collections/novellas a question related to their book (characters, plot, motivation, etc.). Plus, whoever invites the most people to our Facebook event (based on accepting the invite) will receive a Crystal Lake Publishing paperback of their choosing. Free eBooks to runners up who gave it a serious go. Celondim Comedy is on 22nd November at 4 PM /servertime Landroval! The event will feature stand-up and improv comedy and games, including some with audience participation. There will also be a fashion contest with fun, themed prizes. The Remediators start playing at 3:30, so arrive early to hear their wonderful music! This event will take place just south of Celondim at 29.2S, 92.7W. We’re looking for DARK FICTION, be it horror, suspense thrillers, fantasy, action adventure, sci-fi (no space operas, please), supernatural, or noir. We’re interested in reading your novels, novellas, short story collections, non-fiction books linked to dark fiction topics, and poetry collections. All books should be above 60,000 words (novellas need to be at least 40,000 or accompanied by one or two extra short stories - otherwise it'll be eBook only), preferably below 110,000. Richard Matheson, Robert Bloch, Neil Gaiman, Stephen King, Jack Ketchum, Elizabeth Massie, Joe Hill, Ramsey Campbell, Jonathan Maberry, Richard Laymon, Robert McCammon, Adam Nevill, Ray Bradbury, J.R.R. Tolkien, Bram Stoker, F. Paul Wilson, Charles L. Grant, Mary Shelley, John Connolly, Peter Straub, Shirley Jackson, Ambrose Bierce, H.P. Lovecraft, Edgar Allen Poe, Arthur Conan Doyle, Algernon Blackwood, Dean Koontz, M.R. James, Joe R. Lansdale, Jules Verne, Cormac McCarthy, William Peter Blatty, Thomas Harris, Alexandre Dumas and Roald Dahl. We are not looking for reprints (out of print books will be considered – please inform of when you submit), previously published or self-published books, although up to 50% of your collections can be reprinted stories or poems. Novellas that form part of a collection may be reprints, as long as the majority of the collection are original stories. Please make sure the rights to all reprints have returned to you. Simultaneous submissions are okay, but please withdraw your story immediately if it is accepted elsewhere. Your book does not have to be finished at the time of your pitch, as long as it’s at least 70% complete and you can provide the opening chapter plus any other two chapters when asked. You will be entitled to lifetime royalties on sales, or until a mutual agreement to withdraw the book is reached. Your book will be available to bookstores for a period of two years, after which it will be available via online retailers indefinitely. Novels will also receive a $400 marketing budget you can spend as you please, as well as a lot of online publicity from us. Anything else receives a $200 marketing budget and the same treatment from us. You will also receive 5 contributor’s copies before the book is launched. We are not looking for sample chapters or your entire book just yet. If you have more than 1 book to pitch, please send them separately. 1. Your 2 page max pitch (genre, projected length, why only you could write this book, biography; 1 or 2 sentence logline, portray your voice and style of writing, similar books – but what makes yours unique. You should also go into detail about your marketing or promotional plans. 2. Your 1 page synopsis (a step by step summary or walk-through of your book, including all subplots, twists and reveals, or in the case of a short story or poetry collection, a paragraph on each story or poem). This single attached Word document should be in 12 point Times New Roman, single spaced. Do not change text color or add graphics to your pitch. We will acknowledge the receipt of your pitch within three days at the most, but please allow up to 12 weeks for a response on said pitch. Please query if you haven’t heard from us in 12 weeks. Please make sure your pitch and synopsis are properly edited. Initial chapter and manuscript readers: Joe Mynhardt, Emma Audsley, Ben Eads, Ben Jones, Dave-Brendan de Burgh, and LelaniViljoen. Once the submissions period is over, we will evaluate all of the submissions, and invite the very best of the bunch to submit the opening chapter and two chapters of your choosing (or stories and poems in the case of collections). Please remember we are a small press and can only handle a set number of projects a year. So a rejection will not also comment on your writing prowess or talent. There are a lot of factors that go into accepting a project, including personal taste, marketability, timing, professionalism and collaboration of the author etc. I will try to give helpful rejection letters where possible, but please leave your hate mail for the politicians. $400+ raised thanks to all you lovely people that donated (and continue to donate)! Important Extra Life Update and GIVEAWAYS!!!!! With just days to go to Extra Life day on Saturday, the last push to get a few extra dollars for the charity is on. As regular readers may know (and if you're my Facebook friend or Twitter follower, you've already been spammed to death) rather than the usual 24 hour gaming marathon, I've opted to shave my beard for the charity. Originally the plan was to shave my goatee but I decided to go all out and grow a full beard then lose the lot. As it turns out, not only has this turned me into a pariah in the local community and my own household, not to mention the constant itching, the growing of the beard has turned out to be a greater hardship than shaving off my goatee, so honestly I can't wait until Saturday! So, to make it all worth while, I need your help. A small donation will help and the charity supports the Miracle Children's Hospital Network, raising money to help sick kids. It doesn't need to be a regular donation. Even a one off $5 will be greatly appreciated and make my suffering this last couple of months worth while. 2. Beta code for Trove, an interesting looking new MMO from Trion. DONATE! It's for the kids! "The vampire world is in crisis – their kind has been proliferating out of control and, thanks to technologies undreamed of in previous centuries, they can communicate as never before. Roused from their earth-bound slumber, ancient ones are in thrall to the Voice: which commands that they burn fledgling vampires in cities from Paris to Mumbai, Hong Kong to Kyoto and San Francisco. Immolations, huge massacres, have commenced all over the world. Who – or what – is the Voice? What does it desire, and why? There is only one vampire, only one blood drinker, truly known to the entire world of the Undead. Will the dazzling hero-wanderer, the dangerous rebel-outlaw Lestat heed the call to unite the Children of Darkness as they face this new twilight? " 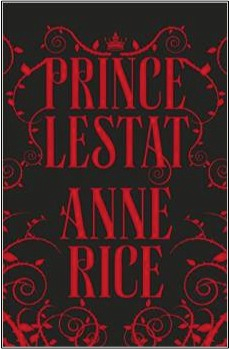 "Anne Rice’s epic, luxuriant, fiercely ambitious new novel brings together all the worlds and beings of the legendary Vampire Chronicles, from present-day New York and Ancient Egypt to fourth-century Carthage and Renaissance Venice; from Louis de Pointe du Lac; Armand the eternally young; Mekare and Maharet; to Pandora and Flavius; David Talbot, vampire and ultimate fixer from the Secret Talamasca; and Marius, the true child of the Millennia. It also introduces many other seductive supernatural creatures, and heralds significant new blood." Did you anticipate the phenomenon the Vampire Chronicles series would become? I did not anticipate the Vampire Chronicles at all on any level when I wrote the first novel.Eight years passed before I attempted a sequel, The Vampire Lestat, and even then I did not know how many novels might follow. I took it one book at a time, exploring, developing the cosmology of vampires, getting deeper and deeper into the characters. What inspired you to return to Lestat after more than a decade? New ideas.New visions.New possibilities.At the time I retired from the Chronicles (2003) I really had no more to say with Lestat.I associated the Chronicles with some of the most painful parts of my life.But as the years passed, I kept thinking of Lestat, wondering what he would think about this or that cultural development, what he might have to say about this or that new film or book.He was alive for me, out there, in exile.Finally I went back and reread all of the books, and he was talking to me again, coming out of exile, out of his ‘depression’, wanting to live again.It was glorious. Why do you think vampires continue to be such a popular phenomenon? What has changed in the genre while you’ve been writing? I'm not surprised at all at the popularity of the vampire.The concept is so rich – the vampire is a metaphor for the outsider, the outcast, the artist, the addict, the alienated one. So of course writers would come along and do new and interesting things with such a rich concept.The vampire craze today is author driven.But the movement amongst some very popular authors is towards domesticating the vampire – the very opposite of my approach.We're seeing the vampire as the boy next door, the guy next to you in biology class in high school, or the handsome man you meet at the nearby tavern or bar.It's quite interesting.My vampires are mythic, tragic, larger than life.I'm kind of delighted by all the variations. Prince Lestat hits a bookshop near you on 30th October, 2014. Blaugust Day 31 - Gaming recommences and the end of Blaugust. Today the PC has continued to frustrate And Lotro simply refuses to run smoothly even on low graphics settings. What I did try was to run Guild Wars 2 and amazingly it ran as smooth as anything. I suspect it might be unrelated to my overheating issues, and perhaps a recent patch is clashing with something. Eve seems to running reasonably ok but I was delighted to be able to play a fantasy game so Guild Wars saved the day. I managed to rack up about four levels, more than I've done in the whole of last month and even obtained a new companion, I little piggy! And so this is my last post for Blaugust, and although I came a little late to the party, I've enjoyed having a reason to post every day. I'll certainly be making a concerted effort to post often through September...(Bleptember, anyone?) and hope you'll continue to read. It's on somewhat of an anticlimax that Blaugust draws to an end as I'm barely gaming thanks to my PC that is now slowed to a crawl. I did manage to log into lotro and complete my Hytbold dailies. I've now got 5 out of the 6 armour pieces and I've unlocked the smithy to run dailies for compendiums (used to make relics for Legendary Items) so once I have my final piece, I'm done with Rohan, or at least the first section. I don't need to see Hytbold completed - I did it on Windfola already so I'll be wending my way to Wildemore and not a moment too soon..at level 88, everything is just a little bit too easy, even with the soup like lag. On a brighter note, today we celebrated my nephew leaving for University and my upcoming birthday, with Big ole BBQ. We had some unseasonably good weather and afterwords the alcohol had flowed suffieciently that I was asked to fire up the Xbox for family favourite 'Lips'. 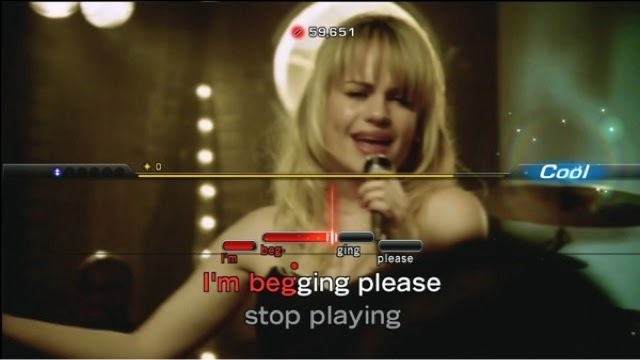 This is the Xbox version of Playstations Singstar, a karaoke game with two wifi connected mics. My sisters in law love the game and after numerous attempts at Aha's 'take on Me' Mariah Carey's 'Touch my Body' and Destiny's Child 'Survivor', everyone went home happy. Been a quiet few days, gaming wise. On top of the fan issues my PC has been reduced to a crawl by a bunch of spyware I managed to infect myself with. Things seem to be almost back to normal though I definately need to get the fan sorted out. Got in a little LOTRO. Pinestro the warden has hit 88 and crafted his Second Age level 85 spear. I was almost not going to bother, as at the rate he's levelling he'll be looking for a 95 and then a 100 but according to Turbine, the legendary item grind is coming to an end as you'll be able to 'lock in' the item you have from100 onwards. The endless grind every ten levels is ridiculous currently so that will be a welcome change. Also played a little Eve but nothing more than mining and training. I've established a trade between myself and my corporation for the sale of the Ice I'm mining, so hopefully the profits will start coming in soon ( as I'm down to a paltry 10 million Isk after buying and fitting a second Mackinaw. A couple of days ago I wrote about about my history with gaming. 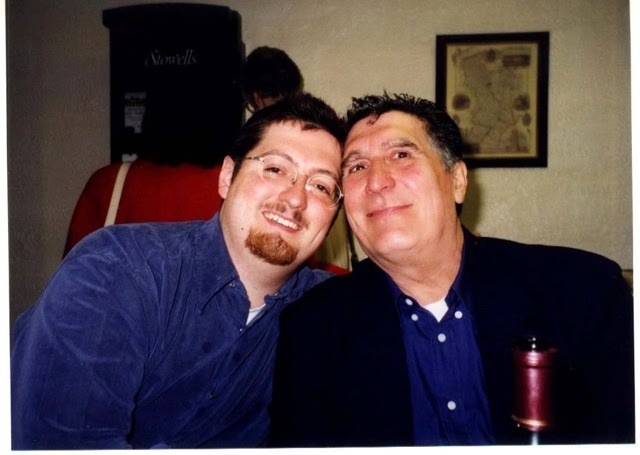 One of the good friends I referred to, in fact the first person I corresponded with through PBMs and subsequently met years later, is Jason Johns and he or at least his son, is the subject of my post today. Joshua Johns is seven years old. He's already an avid gamer, a huge Minecraft fan, so he's definately "one of us"
On the 6th of March this year, Joshua was diagnosed with Pre B Cell Acute Lymphoblastic Leukaemia. Since March Josh has been treated with seven different types of chemotherapy and has spent time in hospital on four different occasions with suspected infections. He has had a central line inserted into his chest and now has an ng tube in his nose which is used to feed him as his weight dropped drastically. The chemotherapy has affected his legs so he is unable to walk very far and has a wheelchair. It has also affected his hands and so he is also unable to write. Josh hasn't been able to attend school since he was diagnosed in March. At the end of the school term Josh was sent homework for the holidays which included writing a diary of what he did in the holidays and to send a postcard from his holiday. Unfortunately he is currently going through a particularly intensive block of treatment and so won't be able to go away on holiday this summer. For this reason his folks have decided to make his summer homework a little bit different. They have bought a large World map and are asking everyone to send a postcard to Josh from wherever you are if you have the chance. They will then mark the areas he receives postcards from on the map and send this map into school with the postcards in September. So if you're going away on holiday or even if you fancy sending a postcard from home please send to Joshua Johns at 2 Swansmoor Drive, Hixon, Staffordshire ST18 0FP. If you want to see his progress, there is a Facebook group called Postcards For Josh. Blaugust Day 25 - the Treasure Hunt grind is over! So pretty much most of the weekend was spent In LOTRO, in the damn Treasure Hunt. Now I've been sucked into this occasional event on a number of occasions, each time testing my patience to its limit. The hope of a random drop of the Treasure Laden Goat or the grinding of tokens for a emote I'll never use. So what attracted me to bang my pick into the ground over and over and race other hungry treasure hunters to berry bushes every fifteen minutes to earn a new pick (and risk being called 'rude' as I was on one occasion!)? 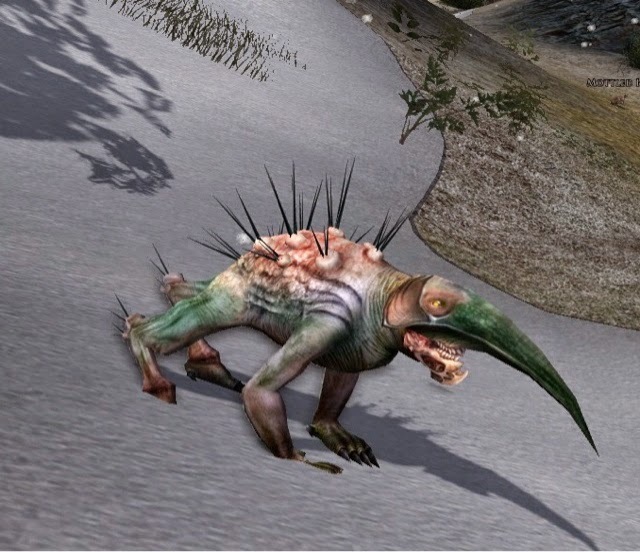 Turbine have finally release these to non-Loremasters and everyone is after one, and for a mere 300 treasure tokens, an ugly beast with a blade for a beak could be yours. So I did it...I dug and dug, and chased berry bushes using caffeine induced speed boosts, and I got 300 tokens. Now I'm the proud owner of a green beaked beastie that I'll probably summon a couple of times before I forget he's there. Oh MMOs, you do like us to run round your little hamster wheel, don't you? 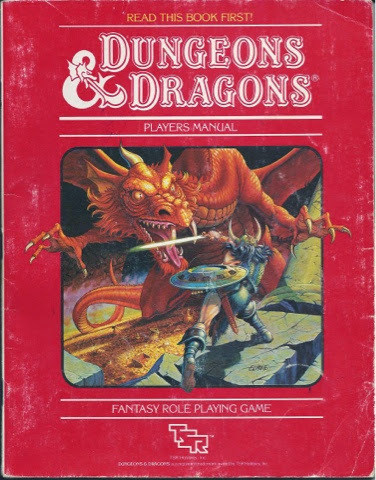 The history of my love of fantasy gaming goes back to around 1982. My sister bought me a copy of basic Dungeons and Dragons. I'm not entirely sure she knew what it was and neither did I but a friend and I pored through the rules of that game and tried to figure out how to play it. He managed to roll characters and even run a few fights, but without any kind of mentor, our 11 year old brains couldn't get our head around the concept of role playing. It was then this kids brother came on the scene. A good five years older, he got the concept straight away and began DMing basic adventures for us. 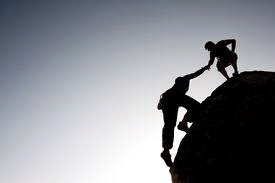 We then got a grasp and brought others into the fold. The group grew, spread out and soon enough, we moved to Advanced D&D. That was the heyday of RPGs. Huge Monster Manuals with reams of creatures and hundreds of prepublished adventures at our fingertips. At around the same time, I discovered Warhammer Battle, a mass combat tabletop game, and found other people who enjoyed that. 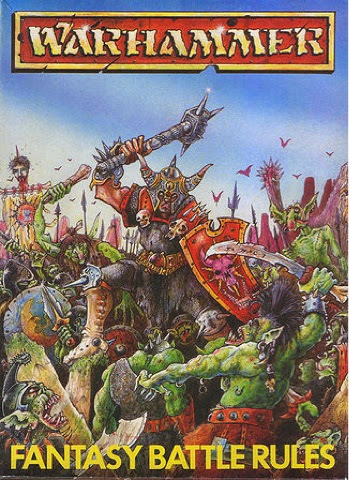 Not long after, the Warhammer RPG came out, a favourite if mine and among other games Dragon Warriors, Rolemaster, Middle Earth Roleplaying, Paranoia, Judge Dredd, these became our bread and butter. Summers were spent morning til night running through games. I fell into the role of DM for most games, and he 80's flew by. Toward the end of the decade, college began and I started playing games by post, Play by Mail or PBM games. Through that I met several friends, some of whom I'm still close with today and as I moved away from home and our gaming group disbanded, I turned to PBMs for my main source of entertainment. it wasn't long before I started to run my own games by email, incorporating some of the players from home, along with my new friends from other Postal games. Craig's PBeMs was born. Several years later, computers caught up and email took over from post as the form of communication for these games. Cheaper and more efficient, the pace stepped up and the amount of games I ran increased. At one point I was running 6 campaigns for various game systems. Craig's PBeMs became Knifesedge PBeMs and the name stuck as my handle for most internet dealings. As work and families have grown, most games have come to an end. Currently, Knifesedge Games runs just one game, set in the 1920's Lovecraftian world and even that drags as players have less time to commit, but I still hold out hope. Computer games fill the gap that RPGs left behind and while I still not for those good old days, MMO's are a good second best. I did, however, get into LOTRO in the evening and ran Helms Dike with a kinnie. Now a lot of people have complained about the Epic Battles but ideally enjoy them. Yes, they're a challenge to solo and. Bit of time sink but they're fun if you know what to do. However, my recent experiences have started to cloud my love of the system. I was informed by another kin mate that the catapults are bugged and can crash the instance, so I avoided using them (which happen to be my favourite part of the battles). Then today I found the Powder at the Gate side quest to be bugged. Having wiped out the opposition effectively, the instance ended before it registered our victory, thereby robbing us of valuable rewards. I don't understand how these instances, that are working perfectly well for the most part, can now be so riddled with bugs. I really hope Turbine sort these out before launching any more! Oh and another thing, if you are in the Treasure Hunt and rob a berry bush under another players nose, don't get all butthurt when said player uses a speed boost and beats you to the two next bushes. You had it coming! Blaugust Day 22 Hytbold at last and a new game! I've not posted my activities for a couple of days because there's not been a great deal happening. In LOTRO, my warden Pinestro has finally started the rebuilding of Hytbold and acquired his first armour piece today. Also, the irregular event, the Treasure Hunt, has kicked off again, so I've been spending time there. All very Grindy. On the positive side, I've installed one of the Humble Bundle games I've been sitting on, Mafia II and I love it. The narrative is engaging, the voice acting outstanding and the 40's soundtrack is incredible. Can't wait to get stuck into this one. Things in Eve have moved ahead. I've now officially left my original Corporation and joined a new one under the wing of a new mentor I mentioned in a previous post. He has set my training on track to where it should be and given me more invaluable guidance, as well as giving a few million ISK worth of implants. I'm also happy to announce that I've received my first couple of sponsors for my beard shaving in October. Thanks again to those generous people, and if you too would like to support the Extra Life charity, there's a link in th side bar. Blaugust Day 21 - Questionaire. Space Invaders. I remember a local cafe got a machine in and it was literally, out of this world. The feeling of excitement of just watching people play, let alone playing it yourself, still stays with me. I was only 8 years old. Both but right now PC is my gaming machine of choice. I own both XBox and Playstation 3, but right now my preference is for PS. Never played a Wii. A tough question, as right now I play some games that are my favourites right now, but the one game that I still hanker to play is the arcade version of Kung Fu Master. We had a fairground that visited our area during Easter and Summer holidays and they had this machine, which I completed over and over. In the process of researching this article, I actually discovered an emulator online so I know what I'm doing after I post this. I don't remember a game I didn't like, though one MMO that I tried once and have no love for at all, is World of Warcraft. 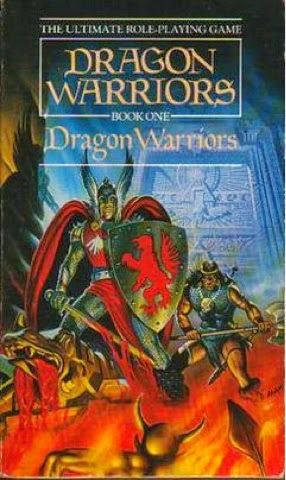 When Neverwinter was first released it got a bad rap, at least from some people who's opinions I value but I loved it and still do. Thomas, the Kung Fu Master! Good immersive story, graphics that take my breath away and something challenging but not to the point I rage quit. I love the early music on Lord of the Rings Online but another arcade game that I used to love, was 1983's Gyruss and the music for it was Bach's Toccata and Fugue in D Minor. I still love that piece of music and all thanks to that game. Running Draigoch in LOTRO for the first time. As I'm not a regular raider, this was my first experience of a successfully run, on level raid and the feeling of excitement while doing I still remember well. Seeing Draigoch for the first time. I'd been warned he was big, but running down while he was breathing fire was very scary! To pass time, for entertainment, escapism and to socialise with like minded gamers. Just in case you haven't been spammed by my Facebook and Twitter posts, I felt this was another great avenue to announce that I've joined Team Turbine to raise money for Extra Life. I have opted to support the Boston Children's Hospital, as it's local to Turbine (and the charity doesn't yet support UK hospitals) and on October 25th I'll be shaving the beard I've worn since 1992. 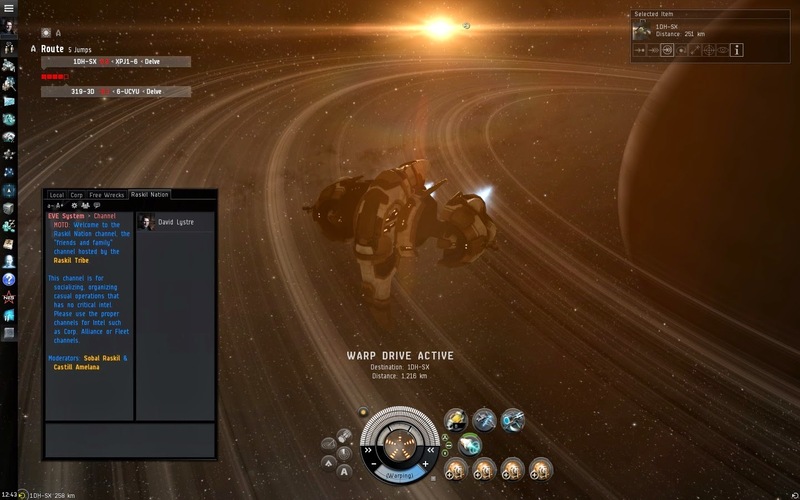 Something happened to me today in Eve Online that I felt might make an interesting post. Eve is notorious for its unforgiving community, people that would rather rip you off or blow you out of the sky rather than give you a helping hand, but I'm here today to tell you that is not the whole picture. Today, I learnt more and was offered more generosity than I've had in my almost 6 months in the game, all thanks to one fellow gamer who just loves to give back. Not only did he advise me on a new fit for my mission running ship, but he taught me about Jump Clones, Augmentations and even offered me a ship I've not yet been able to afford to buy. Now I've been veteran of LOTRO for 5 years and when I first started, I got similar help. The community was such, back then at least, that more experienced players were willing to offer tips and guide new players through their first steps and beyond. In return, as years passed, I did the same. I've helped countless people through the Legendary Item system, taught complete newbies how to tank or heal and crafted more suits of armour and weapons than I care to count. 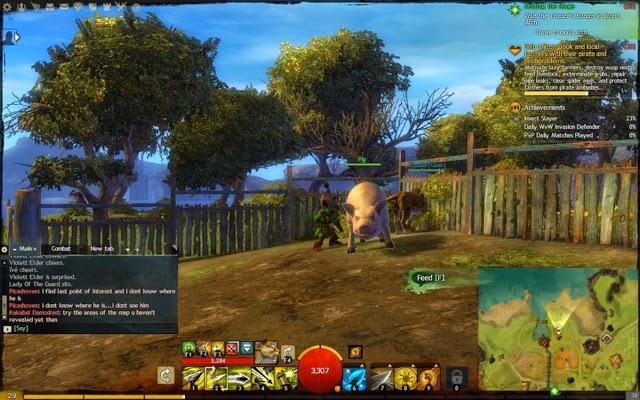 Last year, I rolled characters on a second server, Landroval, where I acted as mentor for a ton of new players as part of the Coursera course on MMO's. I still play with that group and I see the ones I taught passing on the knowledge to newcomers, paying it forward. This, to me, is what makes an MMO so special. You can teach someone to play a game, as I might teach my daughter to play Snakes and Ladders (as I did last week) and have in impact on their memory of the game. I was surprised to find it in Eve, given the reputation, thought we should all remember, we're all human behind our keyboards, after all. Well after some fiddling about with the innards of my Alienware, I managed to get it to boot. The fan still sounds like a 747 taking off, but having builders working both next door and opposite my house, you can barely tell! So between working, I managed to get into a couple of games. Much of the day has been Eve Online. I am starting to love the game more and more, as I uncover even more complexities within. My main, Aeldritch Marstoldt is an industrialist, mainly mining ore and ice. I recently obtained a new mining vessel, known as a Mackinaw. Pretty powerful beast and after the hefty initial investment, it's paying off, so much of today has been playing with him. 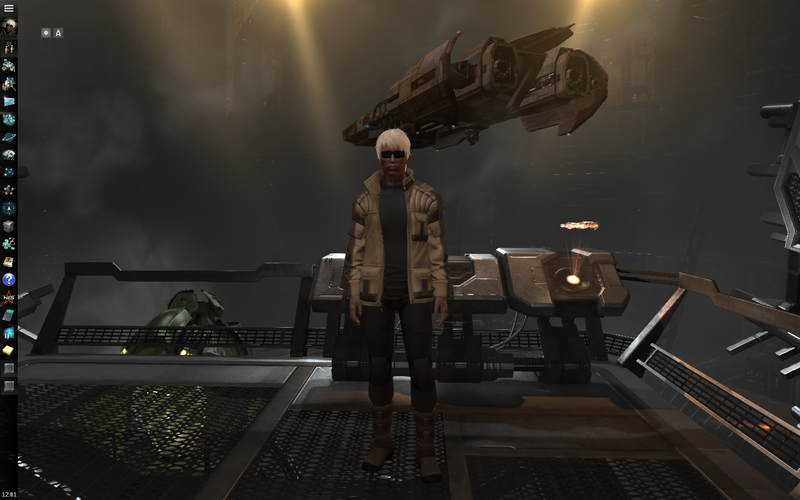 One of my alts, David Lystre, is a specialist salvager, based on the outskirts of space, null sec. He's a very new character, so he's a tiny fish in a massive pond of sharks, but he manages to survive. His speciality is lurking around PvP areas and salvaging things quickly. Today I got him trained in high speed manoeuvres and cloaking, so that will aid him greatly. 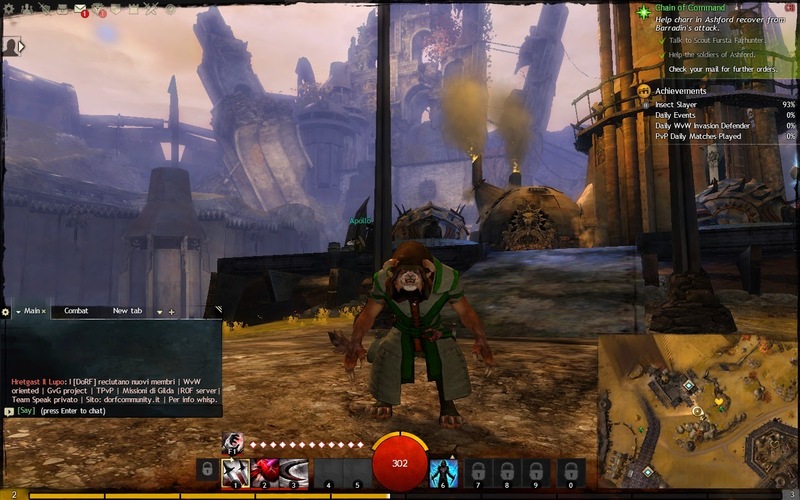 In addition to Eve, I made a brief return the Guild Wars 2. I've not played in a couple of weeks, but I decided to roll a new character today, for some reason, a Charr Thief. Didn't get much time to play him, but I enjoyed what I saw. I don't get have a cap toon in GW2 so I still have so much to experience and in enjoying taking it slowly. A Fistfull of Courgettes and a Shoebox of Spuds! A few days away from the allotment and naturally the courgettes have been cropping like crazy again. Another 7, including a monster, to the neverending pile. I also dug up the first batch of potatoes. These were from a bunch of old spuds I found at the bottom of my veg drawer, nicely sprouted. It was the very first thing I planted in the allotment and I'm very happy with the results. I got more from 3 plants than I did from 7 plants in my bag garden. And finally, the most recent planting, some late peas. I've never had success with peas at home, so this was a nice surprise, our first pod! El and I popped it straight away and shared all three peas within. As an aside, last week I had a productive time in the kitchen. Courgette and Chocolate Muffins, Courgette and Cheddar Scones and Courgette, Pear and Tomato Chutney. I'll get through these courgettes yet! Blaugust day 2 for me (day 17 for everyone else!) and the PC is still dead. Rather than trying to play Eve on the superslow laptop, I dusted off the PS3 today and dug into a couple of games I haven't played in some time. First up, GTA V. I love this game, but access to the family TV is a rarity, so in the several months I've had the game, I've still not finished the offline story and have hardly played online either. 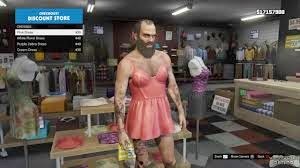 Loaded up Trevor, one of the offline characters, to find him waking up in the middle of the desert in a nightgown, "If I find the deer that pissed on me," he growls, "I'll eat his liver." This game never fails to amuse. After blasting through a couple of fun missions, I loaded my level 12 Online character. There have been a ton of updates since I last played, though I'm probably not advanced enough to notice the changes. Seems no-one else was in my session, so couldn't run any group missions, but did a few parachute missions, which I've never seen before. Great fun! 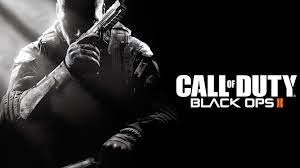 Finally I fired up Call of Duty - Black Ops 2. I've barely played this but have been through most of the previous games. I used to love them, especially those based in WW II, but the games seem to just be more of the same. I'm not great at FPS games, so I tend to just run through and hope for the best until I finish them. Ok so I came a little late to the party, fashionably late obviously. I just heard about Blaugust from the wonderful Contains Moderate Peril (if you love games, you should really check it out) and so I thought I should embark on an attempt to blog every day for the rest of the month. Now call it serendipity or fate, but just as I was considering this today, my Alienware gaming machine gave up the ghost. It's been making a racket of late, fans blasting full on, apparently a common problem with my model and as I'm unable to get it fixed any time soon, I've hooked my wife's laptop to my monitor in the hope I might have the chance go play something. I installed Eve and it runs like a hippo through mud. Needless to say, I am not happy. No LOTRO for a while, and probably no Eve aside from maybe adding skills to my queue. ah we'll, gives me time to blog from my iPad doesn't it?! Here's to payday at the end of the month! Hope you join me for my cold turkey away from gaming. End of July and the courgette's just keep on coming! So needless to say, the fruits are starting to come thick and fast and the usual hunt for recipes is afoot. I also have a couple of very thick rows of kale and am getting a bagful of leaves a week off it so today I made my first proper soup of the summer season, Courgette, Kale, Pea and Mint and it's delicious! First crop of cucumbers are coming through and cherry tomatoes are just starting to ripen. This year is my first attempt at corn in the home garden and it's looking good! And the small plot at the allotment is thriving. Hard to believe I've had it less than two months! Growth comparison - a week in July. It really is incredible what the space of just a week can do. Below are a couple of before and after pics, just 6 days apart. The courgettes are doing really well and should be flowering any day now. 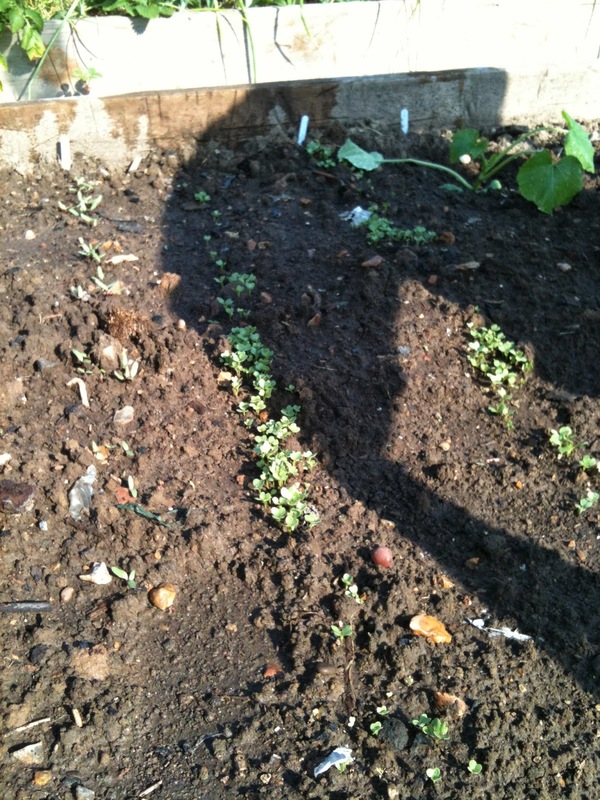 Here the potatoes are flourishing and in the centre, beetroot and Curly Kale are flying! On the left side I have planted some strawberry plants I managed to pick up at a local fair for 20p each. Bit late for fruiting now but will be established for next year, and I'm planting the runners from the plants at home which I plan to grow along the right hand edge next year. First of July was a glorious morning in Greater London and I got to spend a little time in both Allotment (well raised bed!) and my garden. Here's a few pics of what's popping up. 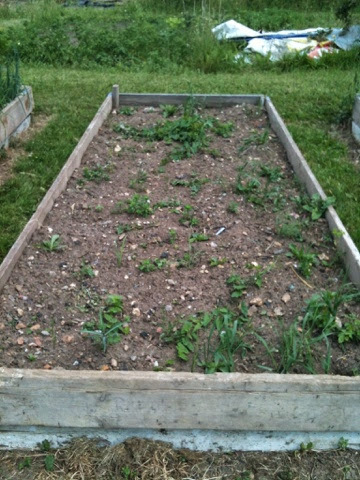 First stop, the raised bed . Popped another couple of courgettes in this morning and found a lot of seedlings making an appearance - Beetroot and Kale doing well but not a single spring onion germinated. 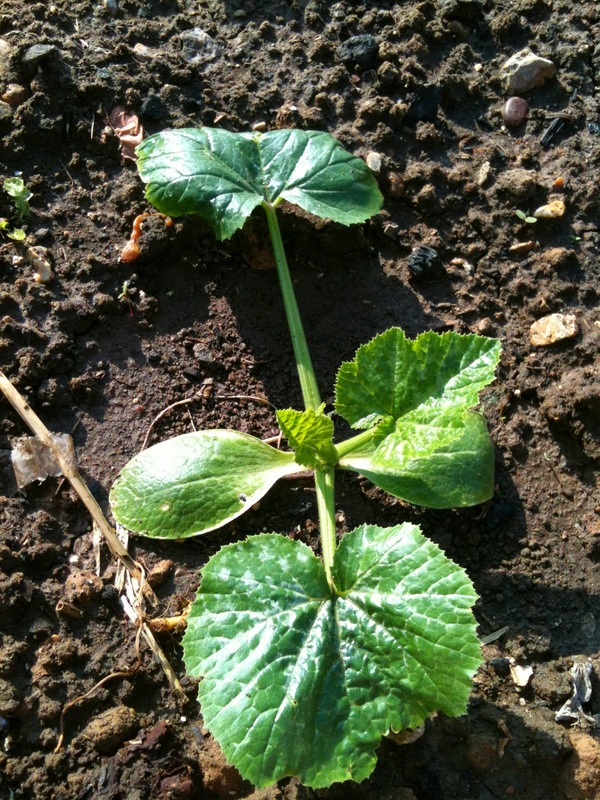 Here's one of courgette's I just planted. They've been raised from seed in the windowsill (unlike my others at home which were mostly from ready grown plants from the local greengrocer) Shouldn't be too long before they flower I suspect. 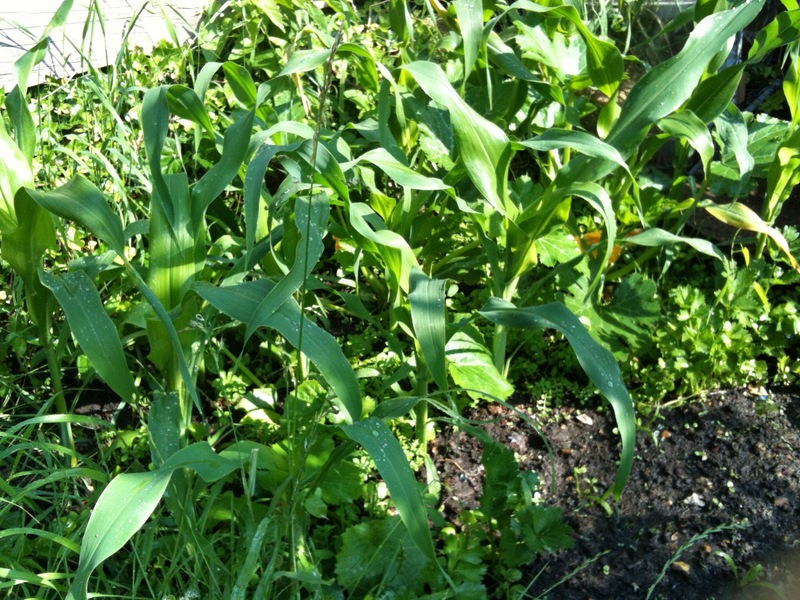 Back at home, here's my block of corn, all 12 plants doing well. To the right, you can just make out the yellow flower of my first courgette of the year, companion planted with the corn. 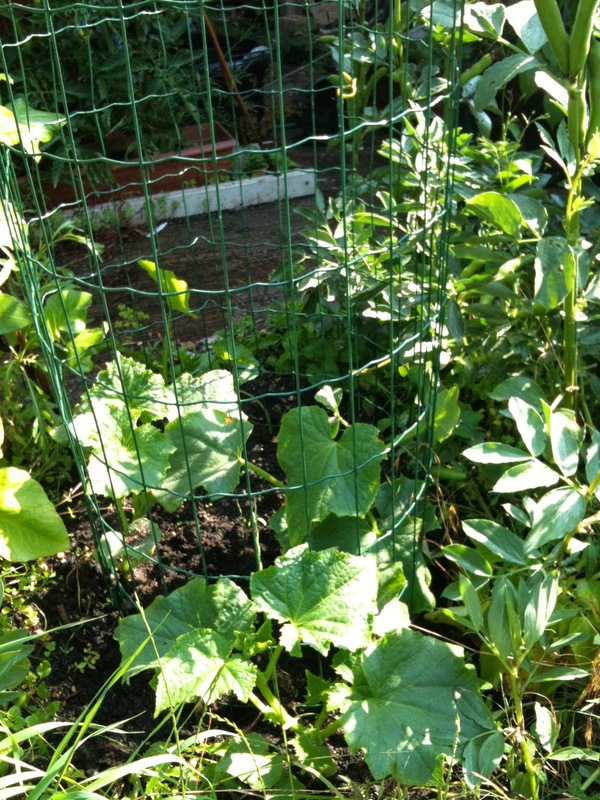 There are about 5 courgette plants spaced throughout, some doing better than others. 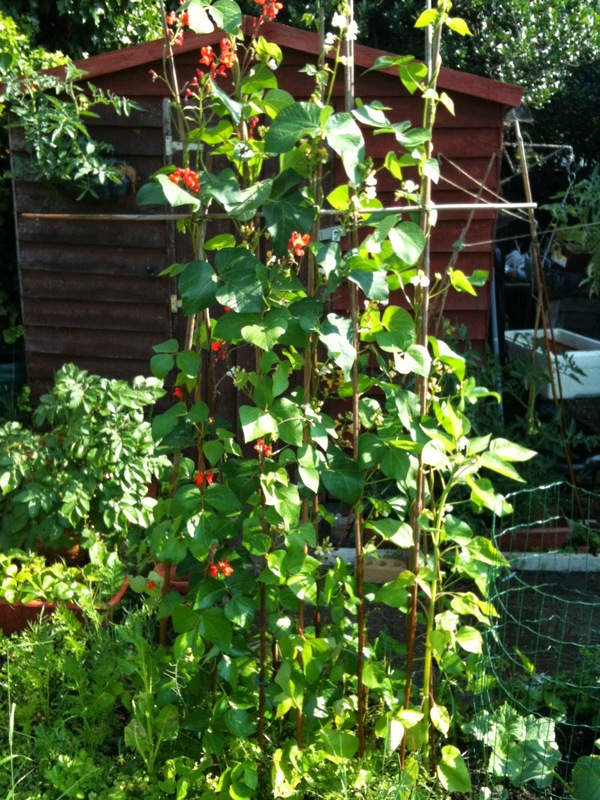 Runner Beans are doing very well, two varieties, Moonlight and Prizewinner Stringless, with lovely yellow and red flowers covering the plant. First couple of beans has started appearing so shouldn't be long before I can start harvesting. A couple of weeks ago I saw a video on vertical training of cucumbers and squash so I constructed a couple of circular fences, buried in the ground, from some wire my neighbour was going to throw away. 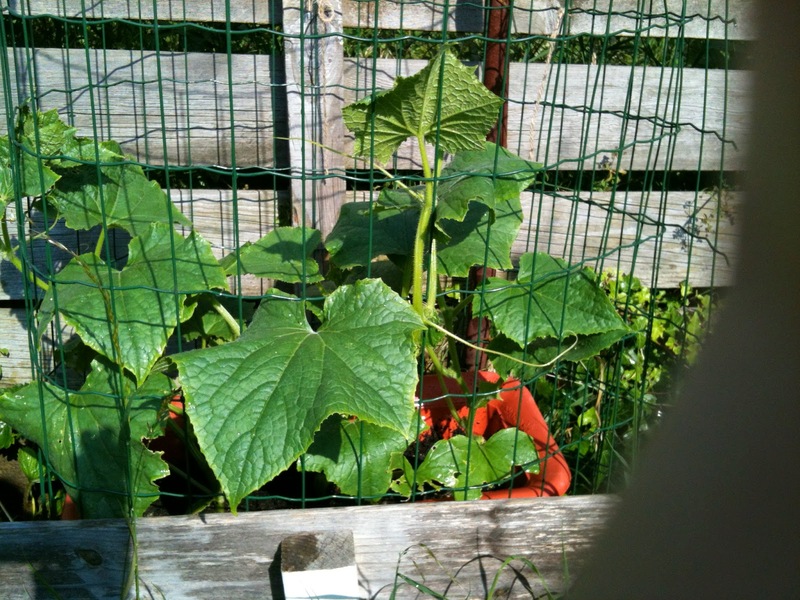 The cucumbers I climbing voraciously and I popped another three Butternut Squash to get best use out of it. 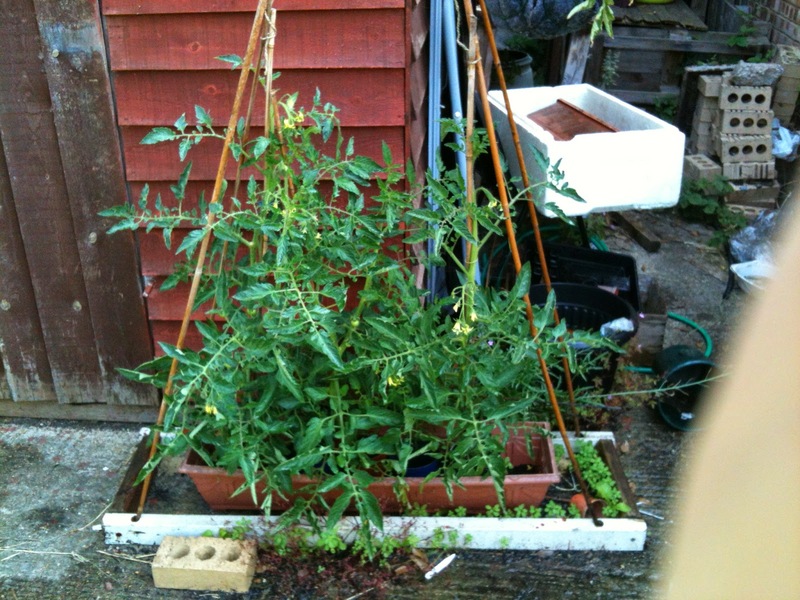 Tomatoes are doing well as ever, lots of little fruit appearing. I found a tip online for drying out banana skins and grinding them to a powder to use as fertiliser, so have given that a go (mixed with some crushed eggshells) and added it to all my tomato plants today. 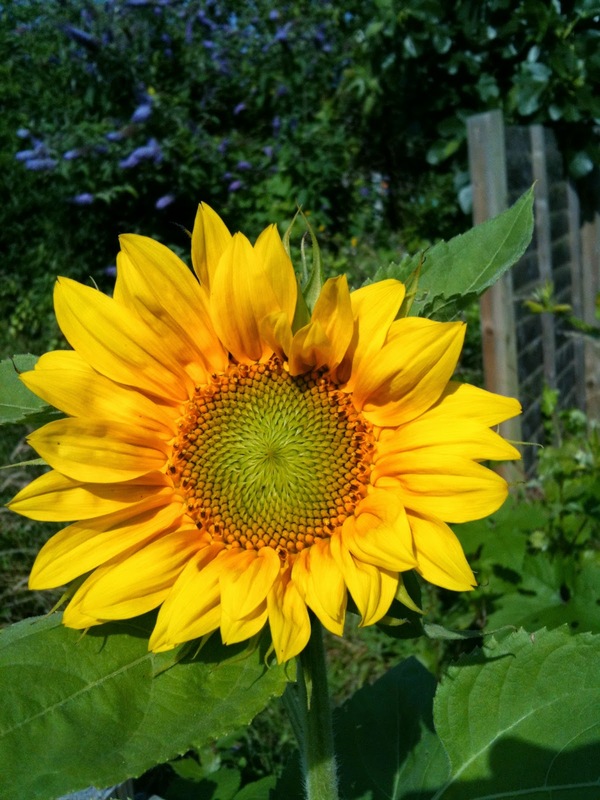 And finally, my daughter's first Sunflower of the year has opened. 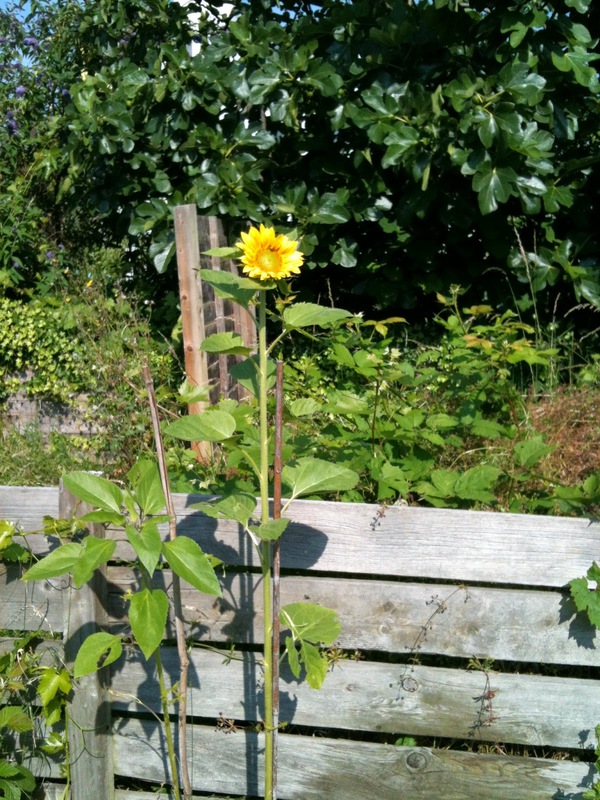 It's a good 5' tall, so not as big as last year but they're growing in very poor soil alongside the fence. And so the seed is sewn. It all started in 1991 when I left rural South Derbyshire for the Big City of London. My Dad, like his before him, and no doubt countless generations past, grew his own vegetables, and slowly I had come to miss being able to do that. Living in a series of tiny studio and one bed rooms flats, I was able to grow little more than herbs on my windowsill, to aid my culinary endeavours. I longed for a garden I could call my own or maybe even an allotment. Fast forward to 2002 I finally moved into a flat with a garden I could use. It was all lawn, so I was restricted to pots, but runner beans became my staple. I became a master at creating the perfect wigwam suitable for a two foot long plastic pot and soon I got the bug. As years went on I finally got a house, with a decent sized garden, some of which I could devote to vegetables. The small growing space, about 7' x 3' house multitudes of potatoes, runner and broad beans, peas, courgettes, chard, spinach, carrots (occasionally) beet root, radishes, along with pots and hanging baskets of strawberries, tomatoes and cucumber. In that small space, I grew an incredible amount of veg, along with a pear tree I inherited and a second one I planted to replace a dead apple tree. That is the garden I have today. Every summer it produces loads of food, but still I had an itch for more, something bigger. Then I discovered our local allotment site. I had no idea it was so close. Every one I'd seen was at least 2 miles away and this one was pretty much on my doorstep. So I signed up for the waiting list. 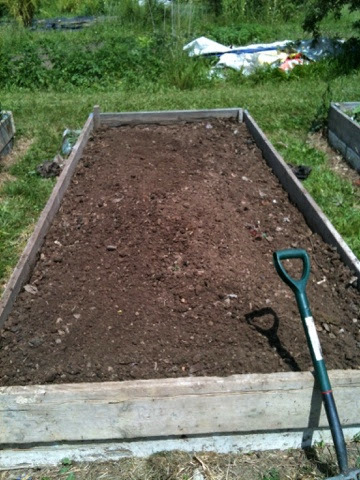 In the meantime, they offered me a raised bed, about 14' x 4' which I have just started cultivating. This blog aims to serve two functions. One to keep record of what I grow (and where) and secondly to help others that might be starting out. I'm no expert, but I've learnt lots of tips passed from my Dad and I plan to share them here in good time. The title, incidentally, is dedicated to my Dad. It's a Derbyshire phrase he often uses when he sees me, and is basically asking if you have any onions on you. I feel it's an appropriate greeting I'd love to see used by allotmenteers everywhere!